Getting big and strong doesn't happen by accident. 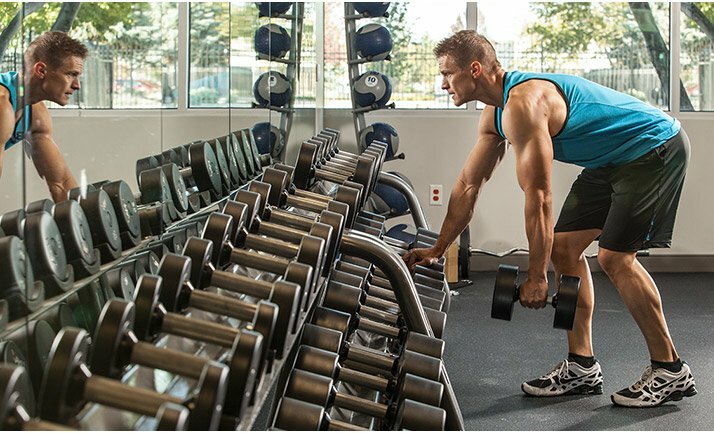 Implement these 10 essential tips into your strength workout to skyrocket your gains! There are two kinds of people in the gym: those who are strong, and those who want to get strong. In just about any sport—from CrossFit to Olympic lifting, strongman to powerlifting—the stronger you are, the more successful you&apos;ll be. And bodybuilders who train for size surely know that a strong muscle is going to be a big one. But lifting heavy weights isn&apos;t just something you decide to do in the gym; it requires a preplanned, progressive approach. If you&apos;re looking to make the fastest possible gains in strength with minimal time stuck at plateaus, take heed of what I consider the 10 most underrated strength-building tips. As someone who holds numerous strength records and trains many of the strongest people in the world, I&apos;m going to provide you with insight that&apos;ll fast-track your gains. Stepping into the gym with a mindset of lifting very heavy weights is serious business, so you&apos;re likely eager to get right under the bar. But hold up a sec. 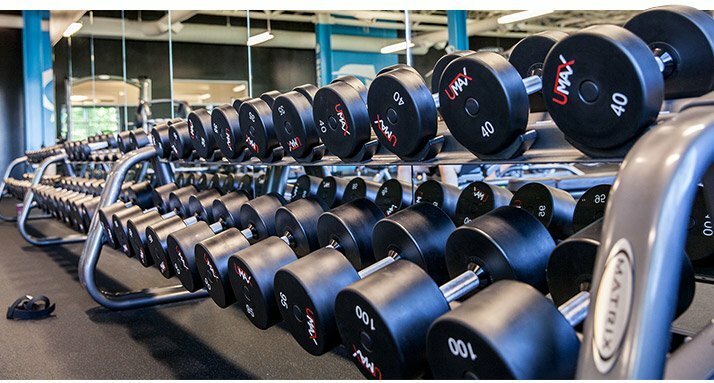 Every—I repeat, every—big lift should start with a thorough warm-up. It&apos;s easy to dismiss this part of your workout, but ultimately it has a huge impact on your ability to generate maximum force. The benefits of a proper warm-up are well documented, but among the myriad benefits are more efficient movement patterns and increased mental readiness. Your muscles and joints also get primed. No successful lifter today forgoes this critical step, so why should you? You might think warming up includes static stretching or quickly downing a pre-workout protein shake, but if you want to get as strong as possible, you need to include warm-up sets with submaximal weights on the lift you&apos;re performing. If you&apos;re squatting, warm-up by squatting; use this same logic for cleans and bench presses—or any lift, for that matter. Warming up in a specific manner will get you mentally and physically ready to dominate. An added benefit of doing warm-ups is additional volume. Volume equals weight x sets x reps, so squatting progressively heavier weights for 4 sets of 5 reps (none close to failure) piles on a significant amount of extra training volume without adding much time to your workout. If you want to get as strong as possible, you need to include warm-up sets with submaximal weights on the lift you&apos;re performing. Strength is a skill. You&apos;re strongest when you&apos;re fresh, so do the heaviest, most demanding exercises early in your workout. Of course, these movements are always multijoint in nature, like rows, presses, squats, and pulls. These movements build the most strength, require the heaviest loads lifted, and demand the highest levels of coordination. You&apos;ll derive the greatest benefit and yield the best performance by putting these important core movements first in your workouts. One of the best ways to get strong is to follow what&apos;s called reverse-pyramid training. That means you do your heaviest work at the beginning of your workout (after warming up!) when your energy levels are highest. Instead of pyramiding up to your heaviest set of the day, begin with your heaviest set. Successive working sets are just a bit lighter. An added benefit of going right to your heaviest set and then backing off on the weight is post-activation potentiation (PAP). It refers to the enhancement of muscle function following a high-force activity like a very heavy set. Soviet sports-science legend, the late Yuri Verkhoshansky, explained PAP in lay terms: "When you perform a 3-5-rep max, followed by a light explosive set, to your nervous system it&apos;s like lifting a can of water [that&apos;s only half full] when you think it&apos;s full." The weight feels lighter and you move it much faster! One of the best ways to get strong is to follow what&apos;s called reverse-pyramid training. You&apos;d never train for a 40-meter dash by logging countless miles daily on the track oval. The same logic applies to strength. Limit strength is measured by a one-repetition maximum (1 RM). This means, in training, you need more first reps, so instead of thinking 3 sets of 10 reps, think instead of 10 sets of 3. This equates to the exact same amount of volume, but you get over three times as many first repetitions. How do you get to Carnegie Hall? Practice, practice, practice. It works exactly the same in strength training. Coach Pavel Tsatsouline, in his book "Power to the People," described how a neurological groove needs to fire in a certain sequence and intensity. In essence, you need to practice the same movement over and over with correct technique to build strength. And then do it some more. Some folks believe it takes 10,000 correctly performed repetitions to master a movement. Every rep you perform in training, from your first warm-up to your heaviest set, provides an opportunity to perform a rep correctly. So take advantage of the opportunity to literally get better every rep! Take advantage of the opportunity to literally get better every rep! The more explosive a lift, the stronger it will be. Your muscles and your central nervous system don&apos;t know the actual amount of weight on the bar you&apos;re lifting, but they do know muscle tension and force produced. You may have slept through physics class in school, but some basic knowledge can be applied to strength training. Force equals mass multiplied by acceleration. Doing your lighter sets with maximal acceleration through the entire range of motion is called compensatory acceleration training (CAT). Of course, you can&apos;t accelerate the bar indefinitely. Toward the end of the range of motion, you slow down just before lockout. This is called the negative acceleration phase, and it becomes pretty automatic after you practice it over time. When training your core multi-joint movements after warming up, think about moving the bar as fast as possible. You&apos;ll produce higher amounts of force, the weight will feel lighter, and "the intent" will produce limit and explosive strength adaptations. When it comes to results, you make no compromises. Your protein should be no different. Go Now! 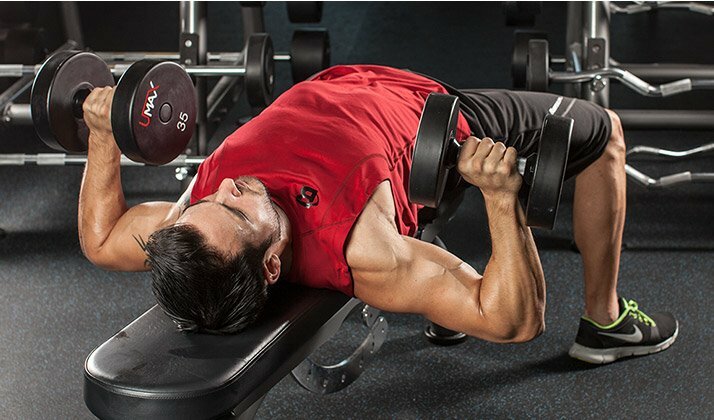 Why is the first rep of some exercises like dumbbell bench presses sometimes the hardest when you start out of the bottom? Because when you start an exercise from the bottom position, it doesn&apos;t benefit from the elastic energy that builds up during the eccentric (negative) phase. This energy actually helps propel you through the initial portion of a lift. Typically, when your lower a weight under control and smoothly reverse direction into the positive rep, you&apos;ll reap the benefits of elastic energy, which makes the lift easier. But sometimes you want to make a movement harder, and you can focus on building strength out of the hole by eliminating the elastic energy. You can easily do this by stopping a lift at the bottom for 1-2 seconds, staying tight, and then exploding up. Now, with a dead stop, your muscles do all of the work without the benefit of the built-up energy. Don&apos;t do this type of training in place of your regular core movements, but in addition to them. With a dead stop, your muscles do all of the work without the benefit of the built-up energy. If you want to maximize your performance in the gym, don&apos;t sabotage your training efforts with a detrimental lifestyle outside the gym. Numerous studies show that alcohol can adversely affect performance, so if you really want to get strong, pound weights and plates, not booze and beers. I&apos;m not saying you should become a teetotaler, but the reality is that a couple of beers may acutely lower your testosterone levels.5 If you imbibe heavily on a regular basis, you&apos;ll probably struggle to lift at your best, and your recovery probably won&apos;t be at its best, either. Training for multiple objectives simultaneously is the most common kiss of death at commercial gyms where folks hope to get as strong, explosive, lean, and muscular as possible—all at once. It never works. Manage your training objectives instead of riding a concurrent road to physical flaccidity and mental drudgery. Periodization is a protocol high-level strength athletes follow, and it simply means purpose-driven training. You won&apos;t reach a 500-pound raw bench press and run a five-minute mile concurrently. Prioritize your goals and attack them with everything you&apos;ve got! Commit to becoming strong by making strength your number one training objective. It can help to hire a coach if you&apos;re going competitive, but the overall structure of your training should be fairly simple—think heavy weight and low reps, and keep the cardio to a minimum. Brain activity precedes movement. That doesn&apos;t sound earth-shattering, but consider than among the strongest men in the world, correct movement patterns are visualized before they&apos;re ever performed. Eastern-bloc sports scientists put this into practice nearly three-quarters of a century ago, which made then-Soviet athletes nearly untouchable. Take 10-15 minutes a day to visualize yourself lifting with optimal form. If you can, find a quiet spot, turn the lights off, lie down, and relax. Visualize yourself as vividly as possible, integrating sight, sound, and feeling. See yourself performing your strength movements with optimal technique in a dominating style. In an experiment conducted at the University of Chicago, Dr. Judd Biasiotto split participants into three groups and tested their free-throw percentages. After establishing a baseline, Biasiotto had the first group practice free throws every day for an hour. The second group only visualized themselves making free throws, but did not actually practice. The third group did nothing. After 30 days, all three groups were retested. The first group improved by 24 percent, but shockingly, the second group improved by 23 percent without ever shooting a free throw! As expected, the third group didn&apos;t improve at all. In other words, see yourself doing right, and you&apos;ll do right! See yourself doing right, and you&apos;ll do right! Most people like to focus on differences between successful strength athletes. Instead, I looked for commonalities among the strongest people in the world to develop this list of 10 factors. Put them to use! There&apos;s never a better time than right now to get under the bar. In Pursuit Of Pure Performance. For The Natural Athlete. Go Now! Joy, J. M., Oliver, J. M., McCleary, S. A., Lowery, R. P., & Wilson, J. M. (2013). Power Output and Electromyography Activity of the Back Squat Exercise with Cluster Sets. Journal of Sports Science, 1, 37-45. Oliver, J., Jagim, A., Sanchez, A., Mardock, M., Kelly, K., Meredith, H., . . . Kreider, R. (2013). Greater Gains in Strength and Power With Intraset Rest Intervals in Hypertrophic Training. Journal of Strength and Conditioning Research, 27(11), 3116-3131. Jones, K., Hunter, G., Fleisig, G., Escamilla, R., & Lemak, L. (1999). The Effects of Compensatory Acceleration on Upper-Body Strength and Power in Collegiate Football Players. The Journal of Strength and Conditioning Research, 13(2), 99-99. González-Badillo, J. J., Rodríguez-Rosell, D., Sánchez-Medina, L., Gorostiaga, E. M., & Pareja-Blanco, F. (2014). Maximal intended velocity training induces greater gains in bench press performance than deliberately slower half-velocity training. European Journal of Sport Science, 14(8), 772-781. Sierksma, A., Sarkola, T., Eriksson, C. J., Gaag, M. S., Grobbee, D. E., & Hendriks, H. F. (2004). Effect of Moderate Alcohol Consumption on Plasma Dehydroepiandrosterone Sulfate, Testosterone, and Estradiol Levels in Middle?Aged Men and Postmenopausal Women: A Diet?Controlled Intervention Study. Alcoholism: Clinical and Experimental Research, 28(5), 780-785.